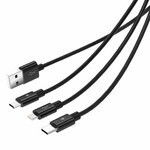 Ideal charging cable with no less than 3 interfaces: Apple Lightning, Micro B and Type-C. 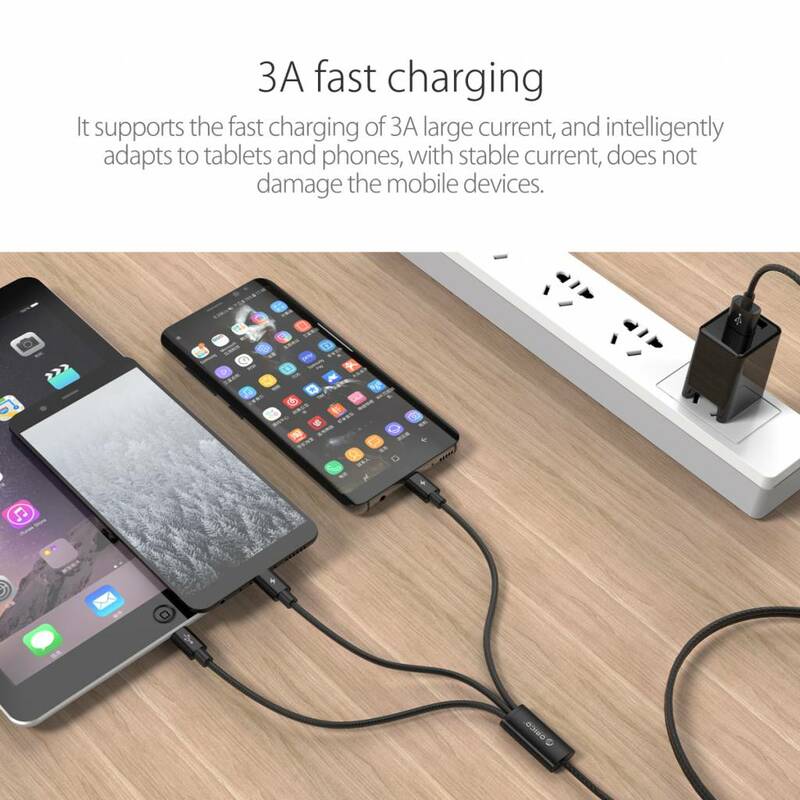 Suitable for charging three devices at the same time. Supports max. 3A. Made of high quality materials. Total cable length: 1.2 meters. Do you have multiple devices such as a tablet and smartphone, or is your partner equipped with a device with a different interface on his or her phone than yourself? And would you like to charge multiple devices with a 3-in-1 cable? Then this is possible with this new charging cable from Orico! Whether you have an iPhone, Samsung, Huawei, OnePlus or other smartphone, with this stylish 3-in-1 charging cable you can also charge your device safely and quickly. Because the cables support 3A, you can also charge a tablet in addition to smartphones. 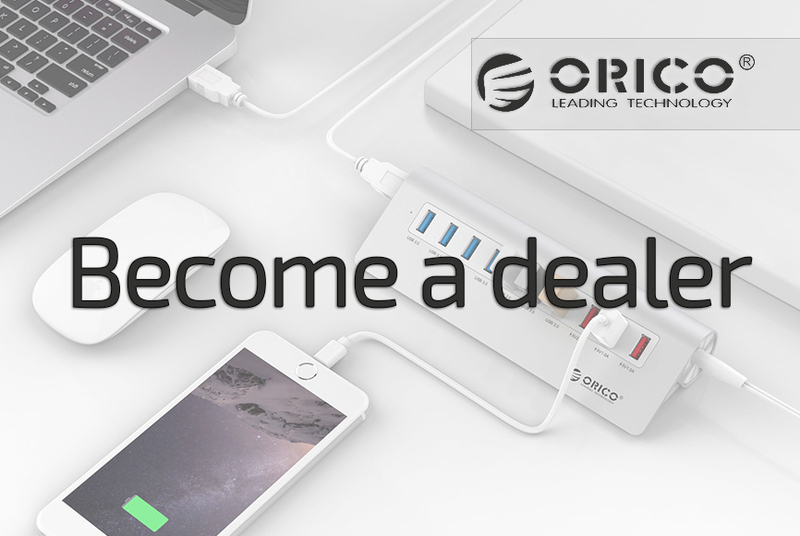 Because Orico's product has the intelligent device recognition technology, the right amount of power is immediately transferred to the recognized device. For example, 1A is delivered with a smartphone and 2.4A with a tablet. With the Apple Lightning connector you can not only load, but also enjoy the USB 2.0 data transfer. 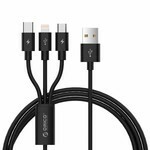 The UTS-12 charging cable from Orico is made of high quality materials. It has a sturdy nylon braided wire, which makes it a very strong cable. You can wring it in all kinds of turns without the cable going. The inside has thickened and oxygen-free copper, which optimizes performance. A stable and secure connection is guaranteed. The connectors are also nickel-plated, so it does not rust and match the connectors accurately with the connected devices. This also ensures a longer lifespan. The housing is equipped with an aluminum alloy. 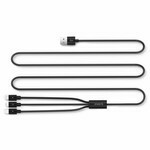 The 3-in-1 charging cable can be used with all kinds of devices. 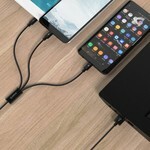 Do you have a Type-C power bank, an Android tablet and an iPhone? These three can all be charged at the same time! Charging has never been easier. 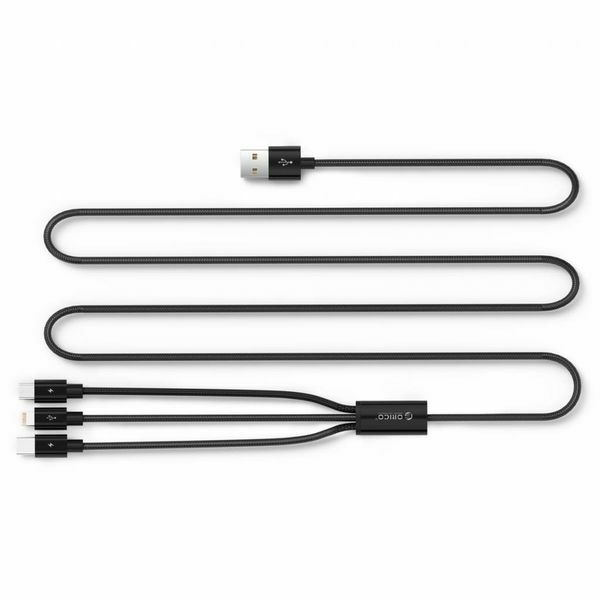 You do not need a three, but one cable. This takes away the frustration of cables that get tangled up, but you now also know for certain that you will take the right cable to your work, school or vacation, for example. 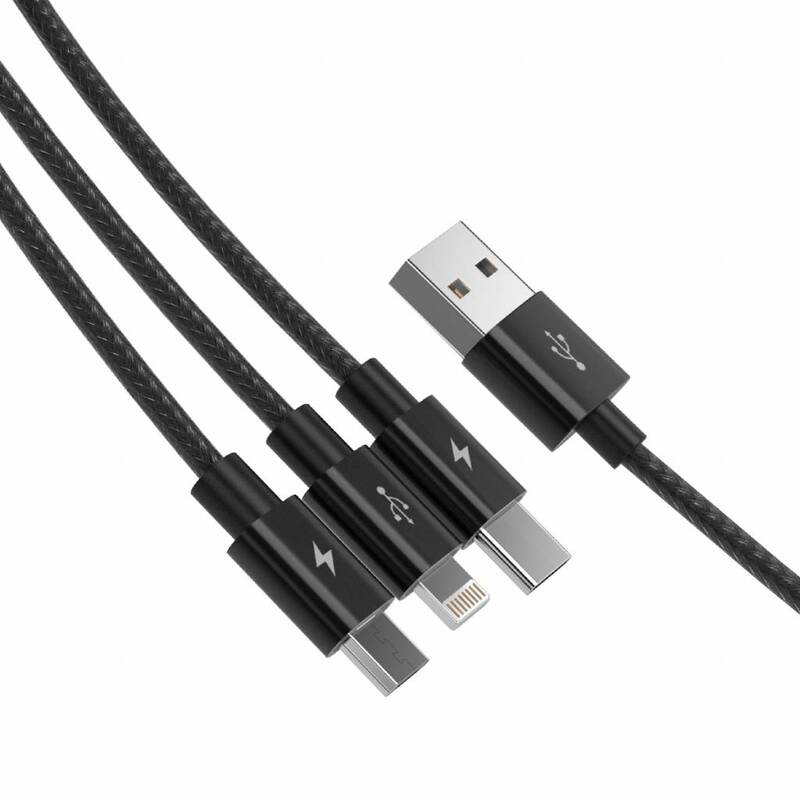 The entire cable is 1.20 meters long, with three different charging cables each 20 centimeters long. It also ensures a lot of room to move and a tidier desk! ✔ Output: Type-C, Micro B and Lightning. ✔ Also data transfer with the Lightning cable. ✔ Materials: PVC, Nylon braided wire, oxygen-free copper, nickel-plated connectors and ✔ aluminum alloy. ✔ Compatible with devices with USB-C, Micro B and Lightning interface. ✔ Cable length: 120cm total, 20cm cable per type of connector.